You will find you receive the following items: Be sure to read the License! Replace it with the Buy Now Button code from your payment processor - PayPal, etc. Save it and view the page - you will see your Buy Now Button there! Then upload the contents of the folder "Sales Page" to your server. That is where you get the URL of the "index.html" and that is the URL you promote. You can do this via cPanel or by using an FTP program such as FileZilla. There are many videos on YouTube showing this. Once your site is uploaded - you will have a URL for the index.html page. You need to drive traffic to this link - you can watch the Traffic Generation Club videos if you need some help here! 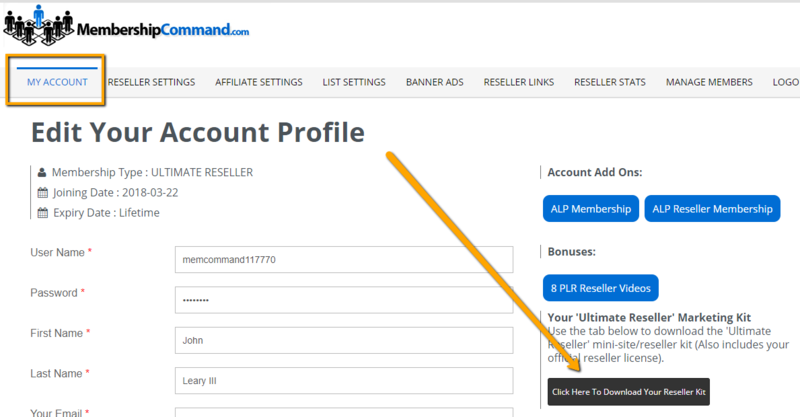 Once someone purchases and you receive the payment, you create their account - using the Manage Members page - the system automatically sends the login details to the email you enter there.